While some see nothing more than a chore, making your bed can be a philosophical bedrock. Everything might go wrong throughout your day with most events well outside the scope of your control. However, coming home to a well-made bed is on you. Control what you can. Don’t worry about the rest. There is a lot about rooting for a sports team outside this scope. The overall payroll can be a collective byproduct of the fans, but no individual will alter the calculus. Fans do not get to make roster moves, in-game decisions, nor dictate whose hits will drop or strikes get called. Each person can decide how these items will affect them. Not that it is easy. Pure, blind devotion can lead to anger and sadness dominating the emotional spectrum when things go awry. Dry intellectual following can lead to emotionless apathy no matter the results. Either case can lead to frustration when the team picks a different path than the one you deem best. Based on the overall coverage and general fan reaction this offseason, one might be surprised to learn the 2019 Cleveland Indians are expected to field one of their best teams in the last 60 years of the franchise. The AL Central division title is considered all but assured. The team has a historically dominant starting rotation spoiled with four pitchers who have the ability to finish in the Top 5 of the AL Cy Young Award voting. Two position players are expected to finish in the Top 5 of the AL MVP voting in a lineup projected to be Top 7 in all of baseball. Lest any forget, a youthful reboot to remain competitive was not only a look to the future but a direct need given the staleness from the past season results. The front office could not simply roll back the same team expecting better results. Whether or not the replacements are deemed acceptable can be debated, but there is no doubt a bold move to reconfigure the roster was accomplished. Regardless, the corps of the team remains. Francisco Lindor’s excellence is only matched by his gregariousness. Jose Ramirez’s abilities might actually out-weigh his over-sized swagger. Kluber’s stoic greatness. Carrasco’s under-rated exuberance and merit. Bauer and Clevinger’s odd couple competitive friendship. Not to mention the front office has made significant trade deadline and waiver period moves each of the past three seasons. Opening Day of the Major League Baseball is supposed to be akin to reliving Christmas Day as a child with the offseason simply building anticipation for the event as fans long for summer days with a gentle breeze and the Cleveland Indians dominating the AL Central Division. You can choose to be a crank about issues out of control if you wish, but I’m going to enjoy the prospect of what promises to be a fun and exciting team. WFNY’s Mitchell Krall discussing the upside of the Indians bullpen. Let’s Go Tribe’s Matt Lyons thinks the front office might be saving Terry Francona from himself. 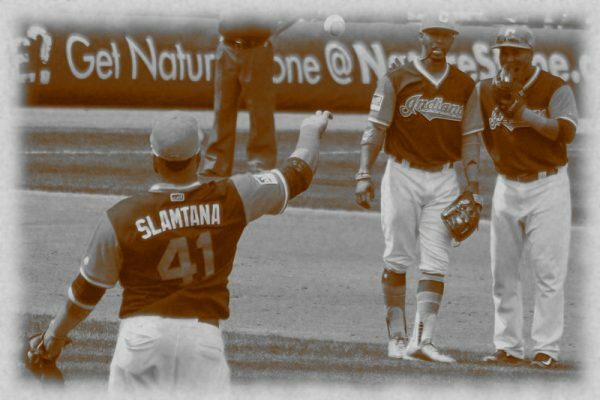 Relatively new blog on Cleveland Indians worth bookmarking. The Cavs article from WFNY’s Andrew Schnitkey that inspired this one. Payroll is down though it should also be noted that relative to MLB on the whole, not nearly to the extent some are attempting to describe.